Wash the strawberries, blueberries and blackberries. 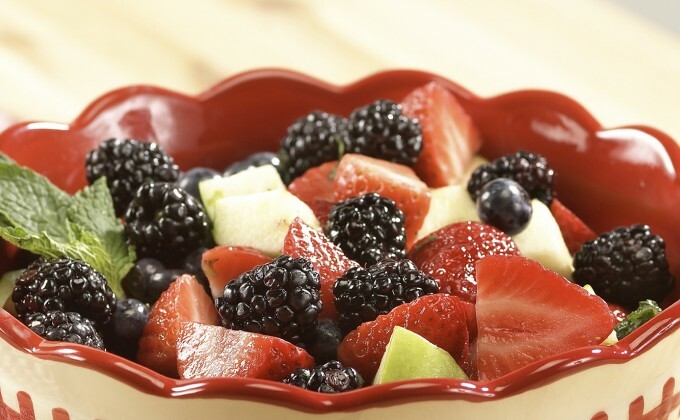 Place in your temp-tations® bowl along with cubed apples. Mix well. In a small bowl whisk together the lime juice, honey and mint. Pour over fruit and toss to combine.